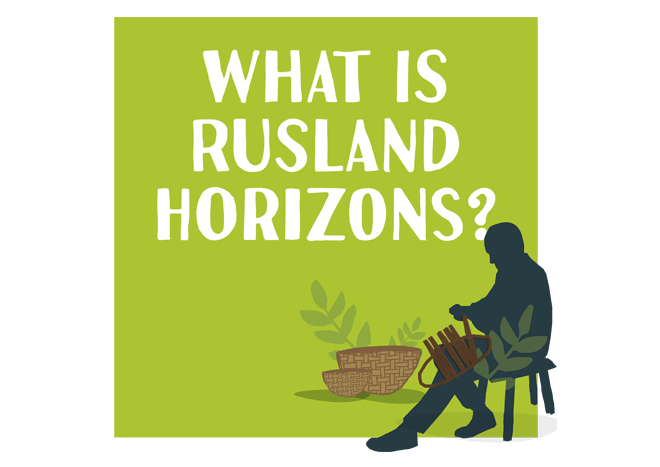 In 2016 we were awarded a three year contract to provide graphic design services for Rusland Horizons. It is a programme of projects which are focused on the natural and cultural heritage of the scheme area in South Lakeland, Cumbria. It aims to involve people in restoring and enhancing the unique wooded landscape of the area. The illustration style which we created is based on traditional printing methods and reflects the craft skills of the workers and volunteers in the Rusland area. The typography is based on letterpress – an old, traditional method of typesetting and printing words by hand. The overall style gives a great feeling of community and nature. We retained the logo, however, we gave it a background to sit on and updated the typography to help it look more contemporary and fresh, and to give it a stronger presence as it sits alongside a strong/bold style of illustration. The colours used reflect the project seasons: blues and soft greens in Winter, reds oranges and yellows in Autumn, vibrant greens in Spring and Summer.